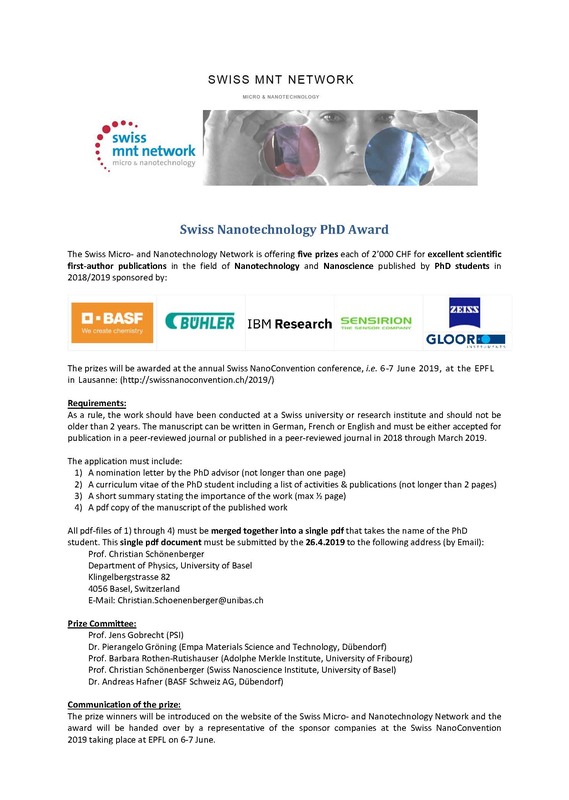 The Swiss Micro- and Nanotechnology network (Swiss MNT Network) invites PhD students to submit their first author papers (published or accepted in 2018 till March 2019) addressing research in nanotechnolgy / nanoscience. Five winners will be selected and awarded CHF 2’000.- each. The prizes are kindly sponsored by BASF, Bühler, IBM Research, Sensirion, and Zeiss/Gloor. 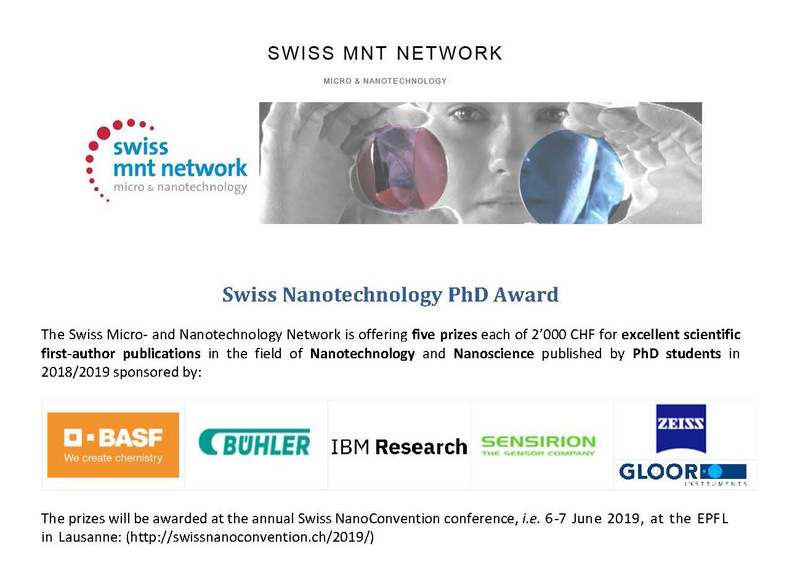 The applicant will be invited to the award session to be held at the Swiss NanoConvention at EPFL 7th of June. The deadline for submissions is 26 April 2019.